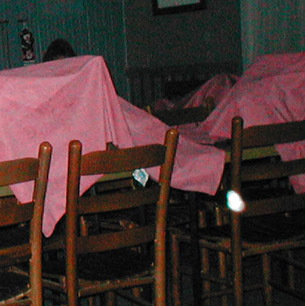 This picture of a pink orb was taken about ten minutes into the investigation in the upstairs dining room. 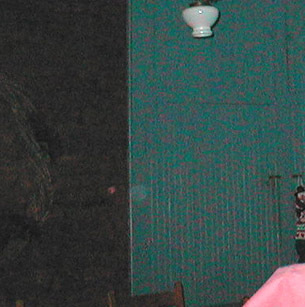 What seems to be this same pink orb has shown up several times before at the Clay Haus. 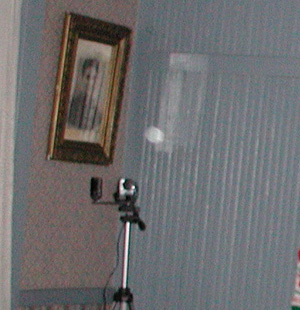 This picture of a moving orb was taken by Hillary Murdoch. 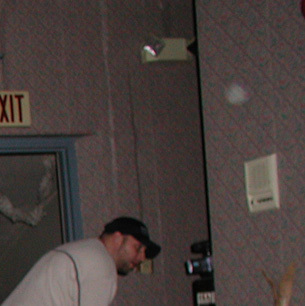 Brad, who is shown in the picture, was actually watching orbs enter the room on the infrared video camera when this picture was taken. 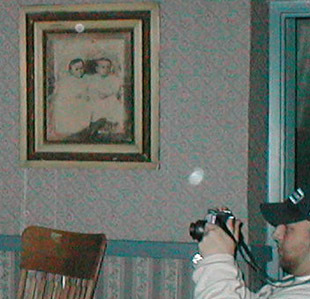 This picture, taken by Paul Murdoch, show a stationary orb, as well as an orb moving right in front of Brad's face! 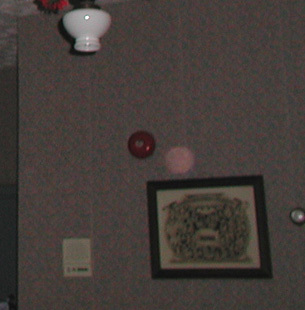 Paul took this picture of a small pink orb in the far corner of the upstairs dining room. 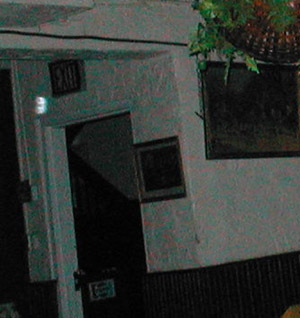 This picture, taken by Hillary, shows an orb moving over the infrared video camera in the corner. This picture was taken immediately after the one to the left. This picture of a bright, moving orb was taken by Paul. 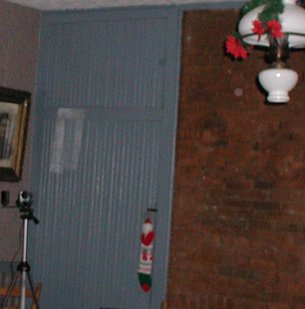 This picture of a moving orb was taken by Paul in the basement dining room.